Moving home or business in Islington is one of the most stress things you can do, the thoughts of packing and unpacking, deciding what to take and leave behind misplaced possessions and realising furniture does not fit in the new house topped the list of most stressful moving day moments. And a quarter of us admit leaving it weeks before we unpack all the boxes. At Pick&Move we plan every move to ensure is as stress free as possible, our Removals Islington expert team are here to help whatever you got planned moving from flat, a large home or relocating abroad we have the right solution for you. Our moving checklist will help you start ahead or if you prefer a pre-move survey you can simply fill the form and our agent will set up a time to suit you. Do you need Man and Van Hire in Islington N1? Sometimes you might have little items of furniture to move down the road or maybe a small flat or office, our small move service is designed to meet those need, is flexible and cost effective. You have the choice of men to assigned depending on your requirements. You simply pay as you go is that simple. Storage are useful in many ways, maybe a furniture that will not fit into your new home of office or a gap between house move. Our portable mobile storage unit is the only solution guaranteed to save you money. We collect from your premises in N1, load and stored in our secure modern facilities without fear of moisture or humidity, when you need the stuff back we arrange delivery back to your place. Is hassle free and most importantly offer better value for money. Need help finding the right storage size ? Call us today for a speedy collection. Pick&Move provides international Removal services designed to solve your mobility needs. 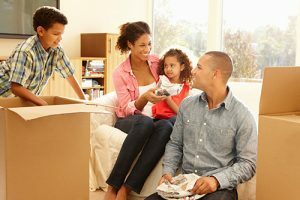 Our worldwide network of international movers can help with every step of your relocation..
We locate families and business alike to any destination, from sending few items of boxes to full container load. Our International Removals with network of international partners that will arrange custom clear your belonging and delivery to your chosen destination a complete door to door service. We place emphasis on smooth transition and plan every aspect of your moves from the moment you contact us. Getting started with any of our services is easy. The London Borough of Islington was formed in 1965 from the amalgamation of the old Metropolitan Boroughs of Islington and Finsbury. Islington and Finsbury share a rich and fascinating history, revealed through collections and displays at the Islington Local History Centre and the new Islington Museum. Islington became a parliamentary borough under the Reform Act, 1832. The Liberals held Islington West and Conservatives the other three seats in 1900, but in 1906 all the seats were won by Liberals. In 1910 the Unionists won Islington North and in 1918 the Coalition Unionists won all four seats. The Conservatives held all four in 1923 but Labour won Islington West and South in 1924 and the others in 1929. Conservatives took all four in 1931 but Labour regained West and South in 1935, and the other two in 1945. The constituencies were altered for the 1950 election to East, North, and South-West, all three won and thereafter held by Labour. Reorganization in 1974 revised Islington North and set up Islington Central, and Islington South and Finsbury, all won by Labour. In 1981 ideological differences led all three MPs to leave the Labour party and two of them to join the Social Democratic party. In the 1983 election, however, when the three seats had been reorganized as two, North, and South and Finsbury, they lost to Labour candidates.